The What: IntelliVision, a subsidiary of Nortek Security & Control, has launched its Channel Partner Program. The What Else: Capitalizing on the millions of cameras, dashcams, and video doorbells that leverage IntelliVision software – from companies including Ring, Netgear and Pelco – IntelliVision is now providing a full set of services enabling dealers and integrators to build video analytics into CCTV, security, and surveillance systems through the Channel Partner Program. IntelliVision analytics solutions cover a range of markets including smart city, smart transport, smart retail, smart building, and smart home, with broad flexibility to run in-camera, on-premise, or over the cloud. The Bottom Line: The market for video analytics is expected to grow to $8.55 billion by 2023, according to analyst firm Markets and Markets. Many existing CCTV and surveillance systems require constant human oversight. 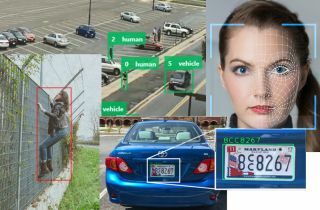 Video analytics can be used to generate alerts only when certain actions occur, such as a person or vehicle appearing in the vicinity of a door or camera.